What Is the Difference Between a Softbill Bird and a Hookbill? The terms "softbill" and "hookbill" are used to describe different types of birds based on their diet, not solely on their beaks. Although hookbill birds have hooked beaks, the beaks of softbills are not soft. The "soft" refers to the food they eat. If you have acquired a pet bird, feeding the proper diet is important. Check with your vet for specifics, but some generalities can be drawn from whether the bird is categorized as hookbill or softbill. Hookbills are birds in the parrot family—from tiny parakeets to impressive macaws. The one thing they all have in common is that curved hook-like beak. The beaks of hookbills are capable of tremendous strength and can crush the tough shells of nuts, seeds, and thick-skinned fruits, which enables hookbills to eat a different diet than softbills. Knowing that a bird is a hookbill gives you a vague idea of the types of food it eats. In the wild, the primary diet of hookbill birds varies. 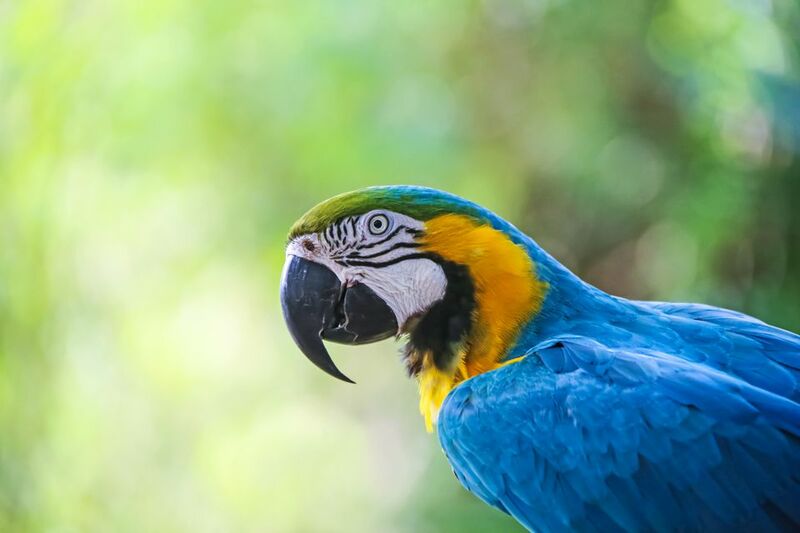 Most macaws eat seeds, fruits, roots, berries, and nuts, but the blue-throated and green-winged macaws favor fruit and flowers with only some nuts and seeds. Cockatoos eat seeds, fruits, and insects, while lorikeets eat nectar, seeds insects, and pollen. Cockatiels and parakeets favor grains and seeds. Softbilled birds eat soft foods, such as nectar, fruit, and insects. The list of softbill birds is extensive, but among them are canaries, finches, hummingbirds, sunbirds, bee-eaters, robins, kingfishers, crows fruit doves, and mousebirds. fresh or frozen produce that is chopped into pieces about 1/4 inch in size. Suitable fruits include pomegranates, pears, cantaloupe, grapes, figs, kiwi, bananas, apples, and oranges. Suitable vegetables include corn, carrots, tomatoes, and finely chopped lettuce. All food given to birds should be pesticide-free and preferably organic. leaves of plants in the nightshade family—the fruits of tomato, pepper, and eggplants are edible, but the plants and leaves are toxic in some cases. Also toxic are the leaves of rhubarb plants.